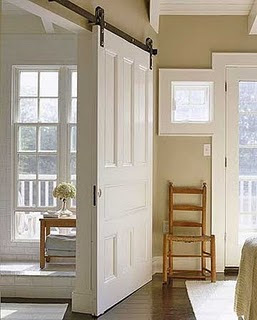 ...aren't just for barns anymore! No way. 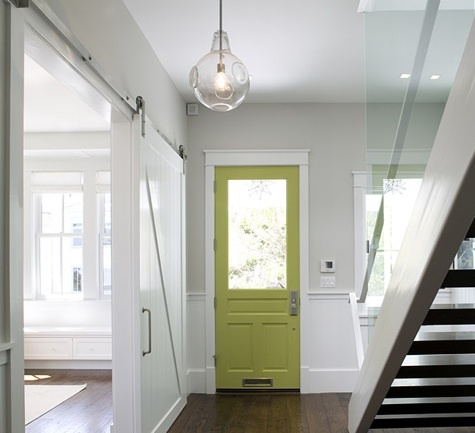 These darling pieces of architectural minimalism are incredible space savers and make the most boring walls look like masterful eye candy. Have a look see for yourself. 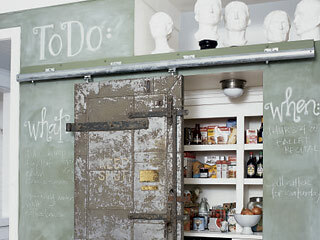 This one combines two of my obsessions at the moment- chalk board paint AND Barn Doors. Swoon! 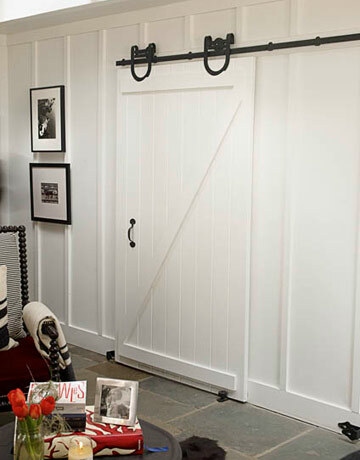 Hey, Kiala told me to check out your site and I saw the barn doors. 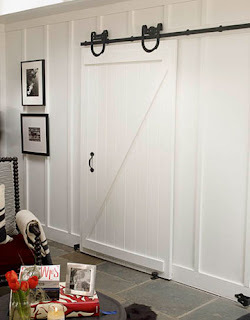 My bf and i renovated our house in November and he wanted to do barn doors to our closet. I was skeptical, but it worked out great! We love them! we went to the local farm store (easy in NC) and bought all the materials for around $100. We had looked into ordering online and it was more like $500 from 'designers'. The guy at the supply store said someone else had come in and was doing the same idea.